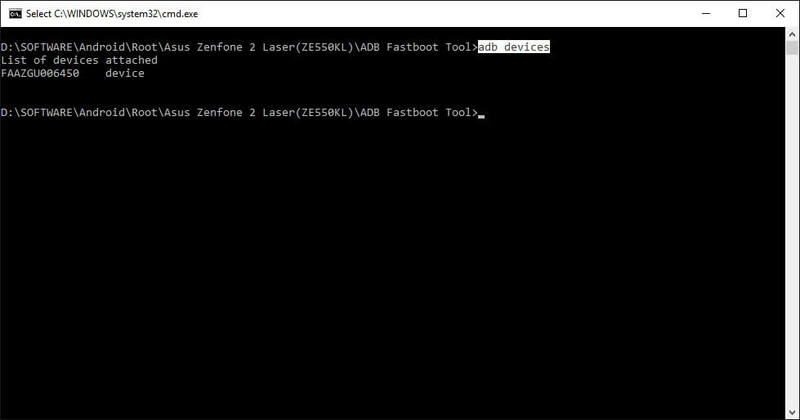 Minimal ADB and Fastboot are one of the most important tools used when working with Android devices. It’s a command line tool that lets you communicate with a device It acts as a middle man, who allows you to push, modify, debug, and tweak system files very easily. It also allows you to unlock your device’s bootloader with just few commands. So if you are into flashing, unlocking or rooting your Android smartphone, ADB and Fastboot are a must have tool for you, as an Android device owner. Android Debug Bridge (adb) is a part of Google’s Software development kit (SDK) provided for Android also known as Android Studio. 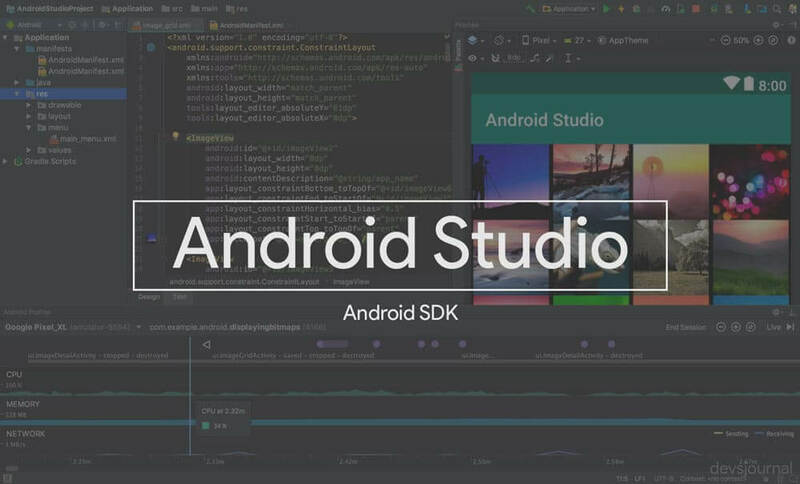 The Android Studio provides different tools to build apps for Android platform while testing it in the tool itself. While the entire package of Android Studio is of roughly around 800MB, Minimal ADB provides a very minimized version of that command line tool which can be used for debugging your device only. Typically if you want to install ADB and Fastboot you have to download and setup the Android SDK which is of size more than 1GB (If you really want to learn about Android Development we highly recommend downloading and installing the full Android SDK), but this can be unnecessary for people who just want to install ADB and Fastboot. You can just get the ADB tool to get the task done. You can find the source of ADB here. Easy to Install: ADB and Fastboot with a simple to use installer. Just below the onscreen instructions & press next. That’s it! Lightweight: Total installation size is around 2 MB whereas Android SDK takes takes about 1.5-2GB after installation. Can be used as portable ADB and Fastboot tool. All debugging commands that work in Android SDK work in Minimal version as well. 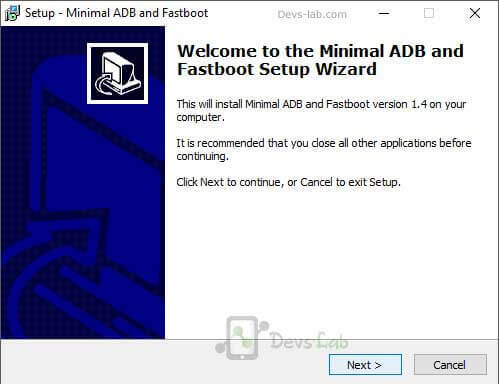 Installing the Minimal ADB and Fastboot tool is really very easy similar to any other software installation procedure, you just follow the onscreen instructions and accept the agreement to finish the installation. Step 1. 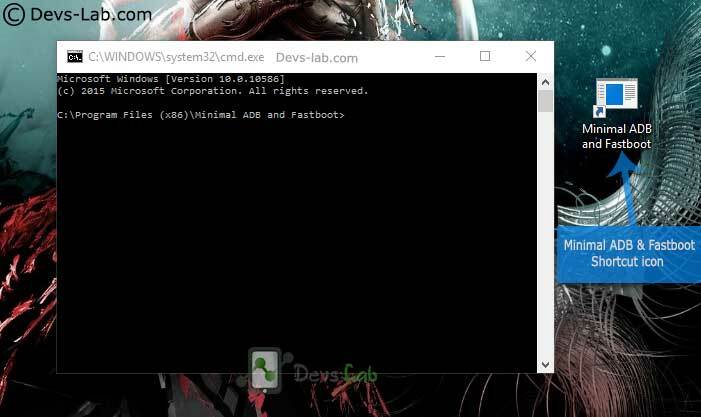 Download the latest Minimal ADB & Fastboot file from above link. Step 2. Launch the adb.exe file to begin the installation process. Step 4. Click on Next, Select the box which asks “Create a desktop icon” and install the software. It would take 1-2 mins depending on your PC to finish the installation. Step 5. To connect your device with ADB, you need to perform few more steps. In your device, Go to Settings > About Phone > Tap 7-8 times on the Build Number, until it says “You’re now a developer”. Step 6. Go back to Settings > Developer Options > Enable USB Debugging as shown in the image. Step 7. Connect your phone to your PC using the original USB cable. To check if everything is working well, enter “adb devices” in the ADB command window. 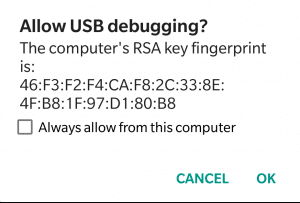 You’ll see a notification your device with some text asking “Allow USB Debugging”, click on “OK”. The Minimal ADB command window will return your device code which means everything is set to go! 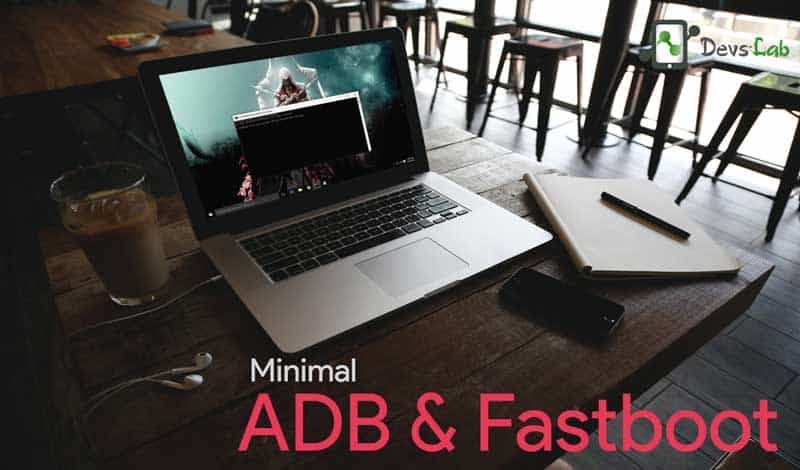 Minimal ADB only works with Windows OS both 64-bit & 32-bit. Make sure to use the most latest version of tool to flash files in latest Android version devices as well as with old devices. Install ADB USB Drivers for Android device by connecting your device in USB Debugging mode. Learning ADB commands will help you come out of non-working devices or tweak your device. Most of all, it will help you increase your knowledge regarding Android system & its files.